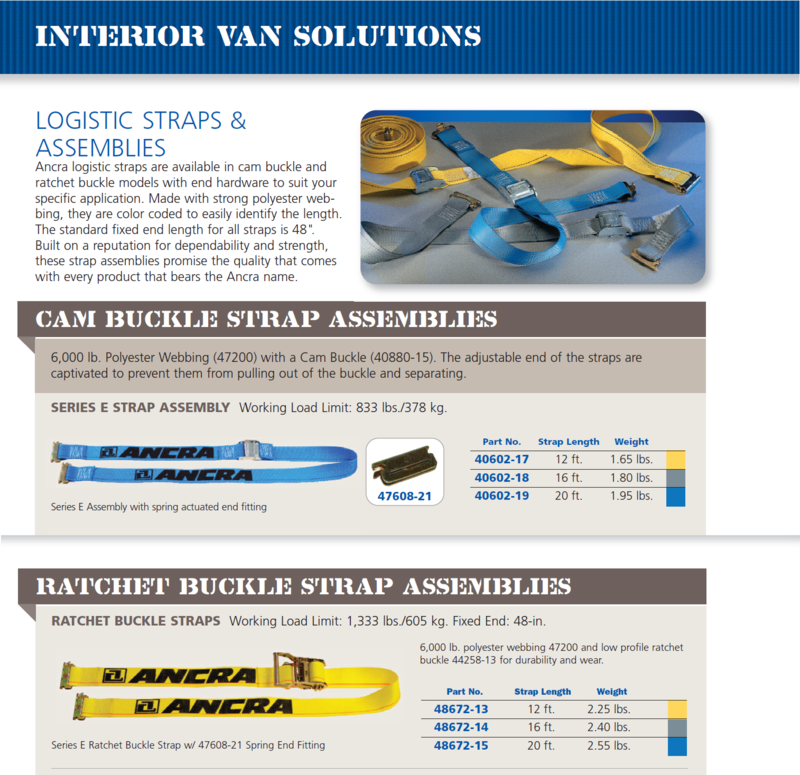 Deluxe Systems is a stocking distributor of Ancra Logistic Straps, Decking Beams, and Cargo Bars. Ancra is the nation’s leading manufacturer of cargo restraint equipment & systems. Models shown below are in stock for quick delivery, but all models are available. Be sure to see the Cargo Bars also in stock. Please contact us for pricing.